I’ve just updated my favourite actors list. My latest additions are Swedish actors Lena Endre and Mikael Persbrandt who I have seen last Friday in Strindberg’s Dödsdansen (Dance of Death). 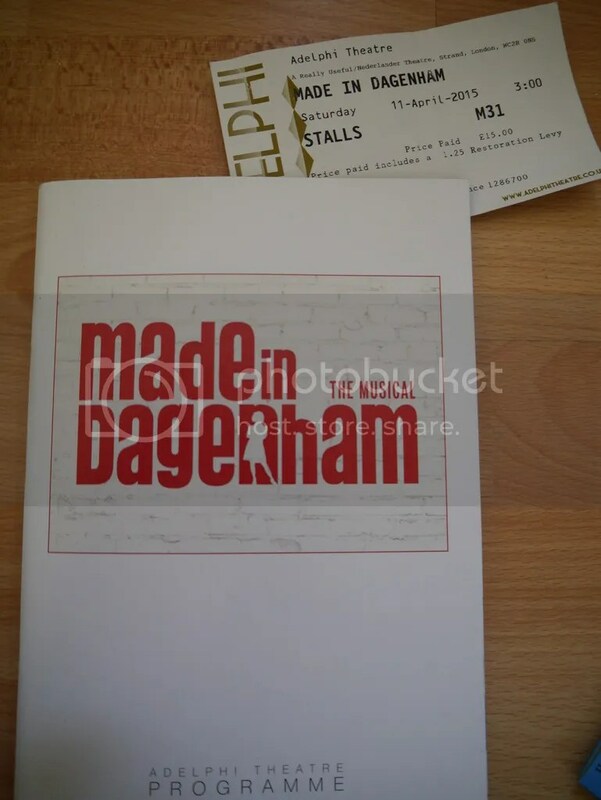 The next day of my April trip was Musical Day – thanks to a facebook offer I have spottet I got a very good seat in the Stalls for Made in Dagenham and did’t have to get up early to do day seating. This was the last Matinee of that “Original British Musical Film Adaption”. I was glad I had a chance to see it and enjoyed it very much. There were a lot of silly matinee things brought in – what is usually done on a last matinee, most of them I recognized but not all as it was the first time I was watching it. And there were the very moving moments, the audience stood up/put their hands up several times and engaged themselves in the story line. All of the cast, especially Gemma Arterton, were very moved by it. The cast and the audience including me had a very good time on that afternoon. A lot of people have been raving about Gemma Arterton in this – and she really was the heart of this production with a surprisingly good singing voice. 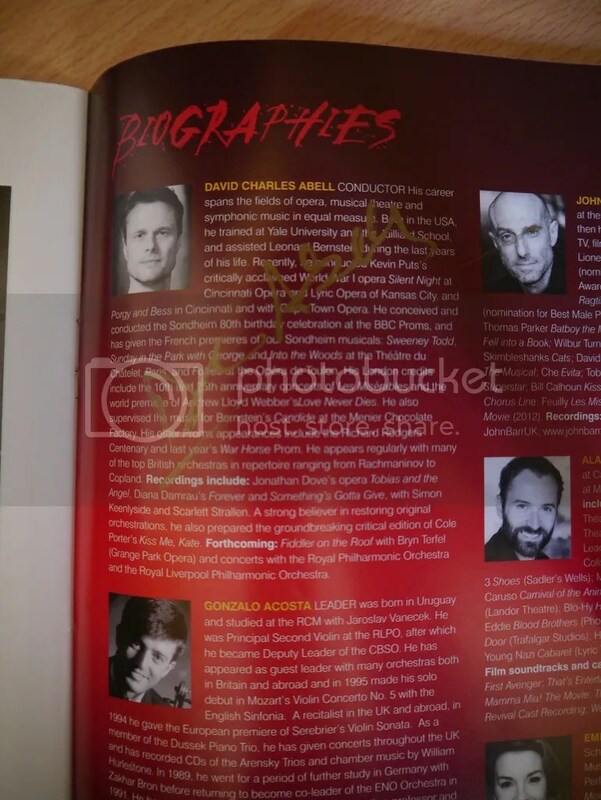 But it was a great cast in general and it was a pleasure to see some other familiar faces like Scott Garnham (I fell in love with his Enjolras in Les Mis) and Steve Furst (Mr. Wormwood from Matilda). A recording of the Made in Dagenham is available now. It is a decent piece of a Musical and it would be a shame when it would not have any future. I did not go to the stage door unfortunately as I had to rush to meet a friend for dinner. 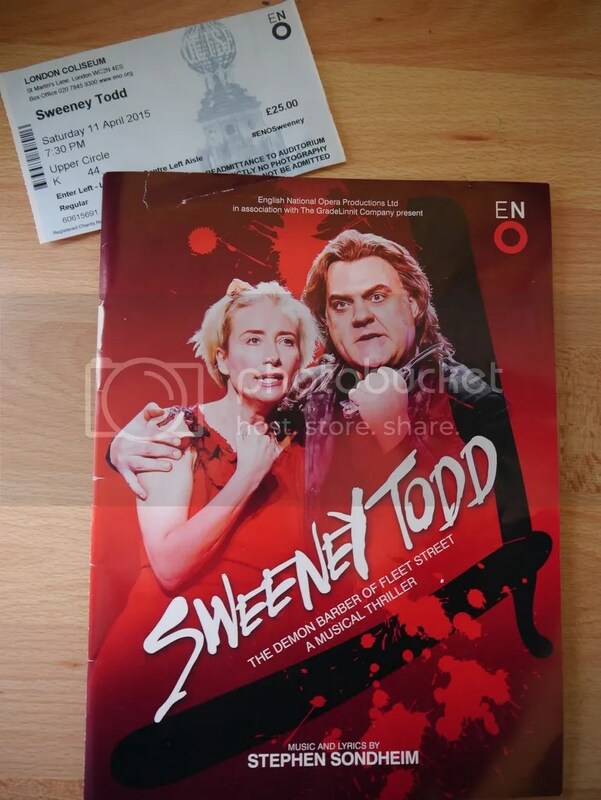 In the evening finally the main reason for this trip: Sweeney Todd at the ENO! The demon barber of fleet street – that famous musical by Stephen Sondheim. What I like about it: The semi staged version had it’s charm. 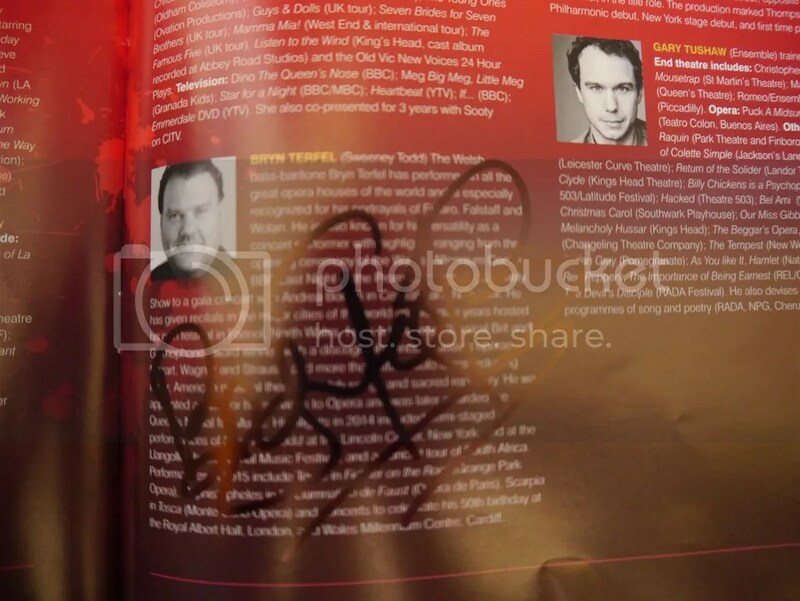 The talented cast and great full orchestra- you usually never get in a Musical theatre – were an absolute treat. What I don’t like about it: Something was lacking, a bit of heart and charme the Tooting Arts Club Pie and Mash Shop production of last year had. And in my opionion Bryn Terfel’s great voice is not perfect for the part of Sweeney. Stage-door experience: Emma Thompson did not do the stage door. Bryn Terfel was nice and conductor David Charles Abell (first seen him conducting Love Never Dies and then again many times)was extra nice (my friend’s friend is his biggest fan and he knows her :-D) But the best was waiting together with great people, old and new friends and having a good time chatting about the evening and a lot things more theatre. Oh yes, but not possible as the next day was the last performance. I so much wish it had been filmed and there was a cast recording.